Taiwan’s new ministers of agriculture, health, labor and science were sworn in Feb. 8 in Taipei City following a partial Cabinet reshuffle announced earlier this month, with the changes expected to assist in fast-tracking implementation of key government policies, according to the Executive Yuan. Lin Tsung-hsien, former magistrate of Yilan County in northeastern Taiwan, replaces Tsao Chi-hung as head of the Council of Agriculture. Lin said he will leverage his experience administering one of the country’s main agricultural breadbaskets in working for the central government and meeting the expectations of the people. Chen Shih-chung, a national policy adviser to President Tsai Ing-wen, takes over from Lin Tzou-yien as head of the Ministry of Health and Welfare. Chen pledged to work with local governments in delivering affordable and universal care services under the MOHW’s Long-term Care Plan 2.0, which is set to run for 10 years and is currently in the trial phase. Lin Mei-chu, ex-minister of the Mongolian and Tibetan Affairs Commission, succeeds Kuo Fang-yu as head of the Ministry of Labor, with her former role added to the responsibilities of Minister without Portfolio Hsu Jan-yau. Lin said the MOL’s priority under her stewardship is to balance the interests of workers and employers so that both sides can share the benefits of sustainable economic growth. Chen Liang-gee, former deputy minister of education, replaces Yang Hung-duen as head of the Ministry of Science and Technology. Chen said the top policy goals of the MOST are boosting academic research, improving Taiwan’s academic research environment and promoting industrial technology innovation. 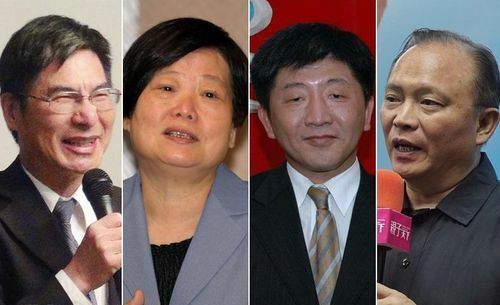 The new lineup was announced Feb. 3 by Cabinet spokesman Hsu Kuo-yung, who said the four ministers are well-qualified for the positions based on their professional backgrounds and experiences in various government roles.